Each morning, A wakes up in a different body. There’s never any warning about who it will be, but A is used to that. Never get too attached. Avoid being noticed. Do not interfere. And that’s fine – until A wakes up in the body of Justin and meets Justin’s girlfriend, Rhiannon. From that moment, the rules by which A has been living no longer apply. This is a stunningly original novel that will make you view the world from a different perspective. What makes us who we are? 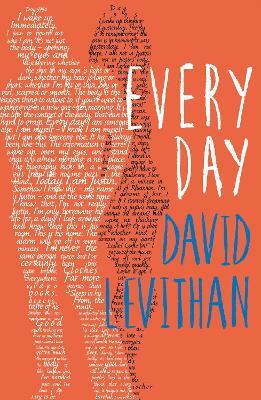 This is the basic question behind this fantastic novel about identity, love, growing up and everything in between. A must-read. It’s technically a ‘young adult’ book but every adult should read it to. I loved this book – such a brilliant exploration of identity and finding love.